This week the shutdown passed the 30-day mark and thousands of households missed their second paycheck in a row. It is crucial that servicers stay abreast of guidance issued by federal agencies and the government-sponsored enterprises, which includes reviewing existing forbearance and other loss mitigation options that may help borrowers weather the storm. This could quickly become a complex matter for servicers and now is the time to understand the impact. Preparing to administer multiple agency updates necessitates flexibility in existing technology, together with the ability to manage related borrower communications and activities in sync with demand. Fannie Mae and Freddie Mac were among the first to issue guidance to servicers assistance during the shutdown. Fannie Mae’s announcement acknowledges, “The shutdown may impact a borrower’s ability to make scheduled mortgage payments.” Fannie Mae encourages servicers to offer forbearance plans to help borrowers avoid default. For borrowers that were already performing in a repayment plan or trial period plan when the shutdown occurred, Fannie Mae suggested, again, that a forbearance plan may be an appropriate remedy. Federal agencies and institutional investors recognize the critical role servicers can play to accommodate loss of income and when possible provide a soft landing for unexpected mortgage defaults. 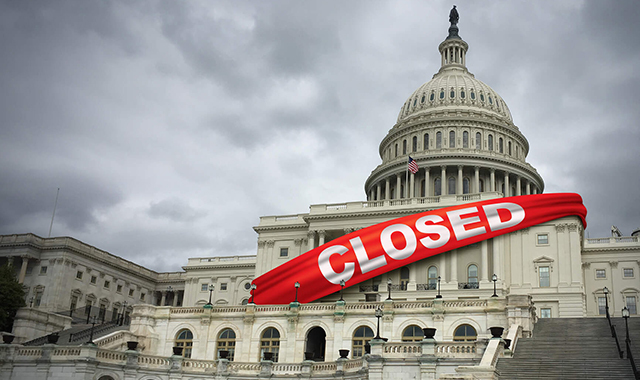 This puts more pressure on servicers and creates issues that won’t go away the moment the shutdown ends. In addition to addressing default scenarios, servicers already face follow up on properties located in Special Flood Hazard Areas (SFHAs). They may also find themselves having to internally audit for varying forms of income or identity documentation in order to ensure loan quality and low defect rates are maintained. Working through today’s unique industry challenges, whether natural disaster, government shutdown, or other, demands a progressive and flexible approach to handling servicing operational processes. Ensuring readiness that stretches across your servicing organization, with the ability to integrate change and mitigate risk, is a necessity. Clarifire understands this and has been helping servicers address similar scenarios for over a decade. 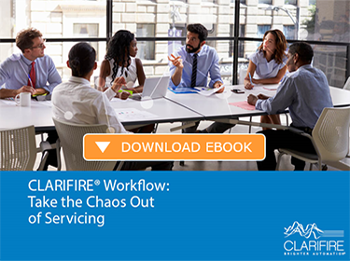 The CLARIFIRE® workflow platform, which includes sophisticated workout underwriting rules and integrated workout tools, is designed to handle complex loss mitigation and workflow issues, as well as help prepare for the unexpected. Clarifire is the partner of choice for servicers that understand the value of being cutting edge, nimble, compliant and customer centric. Visit eClarifire.com today, or contact us directly at 866.222.3370. We can help!